Sign up to Bring a Car! Click here for more design ideas! Guest parking will be on the left side of the Life Church lot. We will set up our cars in a semi circle on the right side of the Life Church lot. Our cars that are not decorated should be parked in a different parking lot to make sure all our guests have a spot. See this map for parking options. Bring some food to share with our guests and those who volunteer from Life Church. Bring some games to share with our guests and those who volunteer from Life Church. We should be able to set up our bounce house. Having carnival style games is nice (beanbag toss, ring toss, coin toss, etc. ), but maybe this year we can just do some yard games or bring some sort of interactive game/activity for people to do at your car (sack race, football throw, etc.). Parking and Greeting Team. It’s always nice to be able to find a place to park in a new place. We also want to be able to give out information about Life Church and our December 2 Grand Re-Opening during the night. Lighting, cones, and rope needed. These items will help us have a great night. Please let us know if you have these and would like to use them for this event. Invite a friend! We will just have had our first church service in the new building October 28. Let’s get off to a great start. Donate some candy. 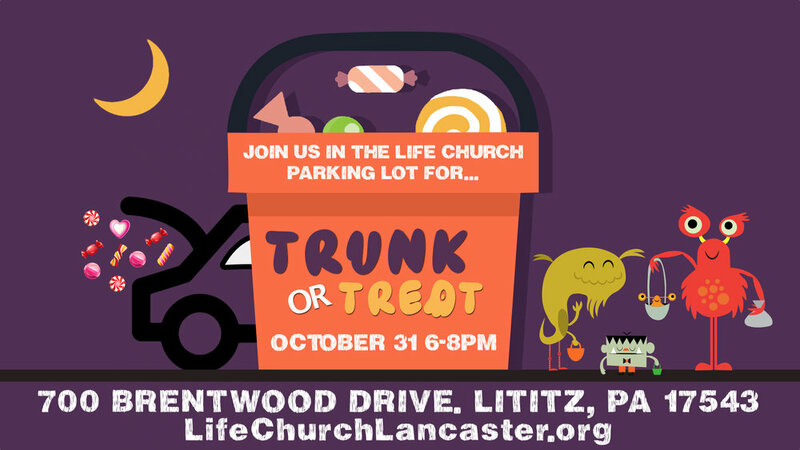 You can never have too much candy at a trunk or treat! Drop some candy off at the new church building to help us not run out! Let us know if you'd like to participate in these ways! 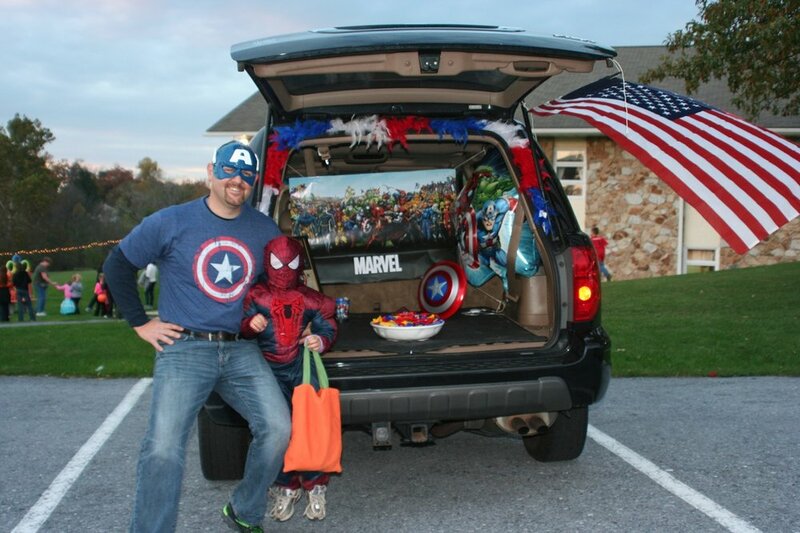 Do you have a great idea for Trunk or Treat? Let Us Know!